These hard rockers know how to put on a show. Members of the Orlando-based hard rock band Trivium have had a busy year—busy in a good way, that is. The “Dead And Gone” masterminds have taken the road by storm, embarking on a worldwide tour to promote their 2015 release, Silence In The Snow. After recently completing their European run, they’re now hitting the states to play songs like “Until the World Goes Cold” for their eager US fans. 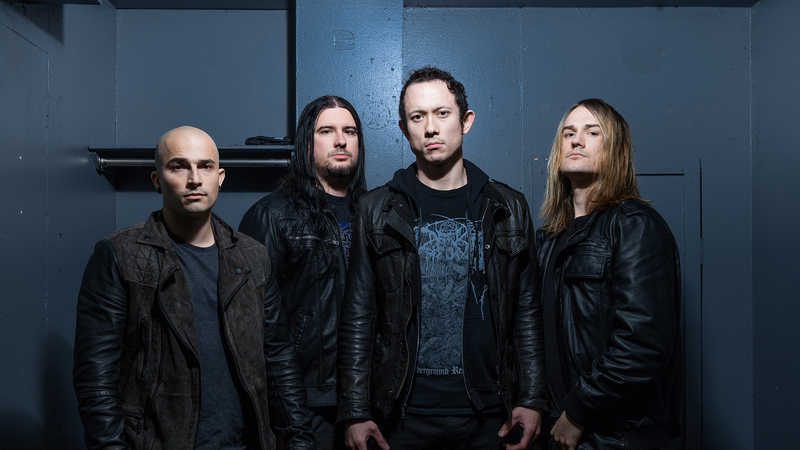 We got the pleasure of seeing singer Matt Heafy and the rest of the band on their second stop this side of the pond at the Baltimore Soundstage on September 16. From the moment guitarist Corey Beaulieu, bassist Paolo Gregoletto, and newly-initiated drummer, Paul Wandtke took the stage to perform their hit “Strife”, it was clear that they were geared up and ready for an unforgettable performance. The band carried on through their 14-song setlist with an incredible finesse, before wrapping up with their 2011 banger, “In Waves”. Check out our photos from the show below and don’t forget to track Trivium on Bandsintown so you never miss another show!